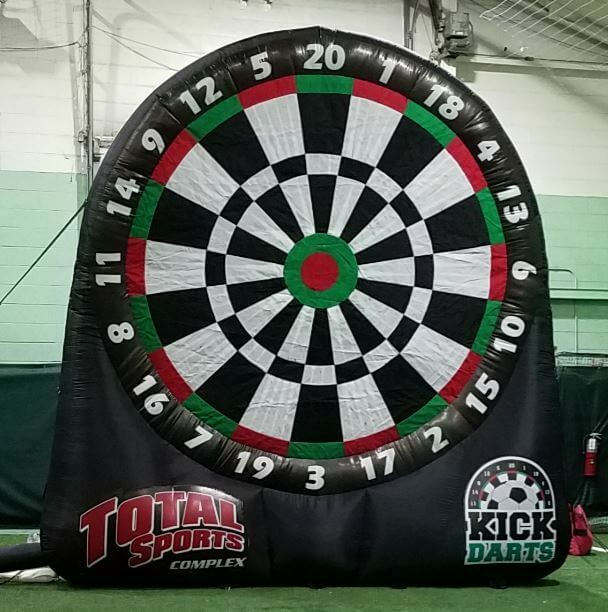 Host your next event at Total Sports! Choose your sport: Soccer, Flag Football, Dodge Ball, Kickball, or Lil’ Kickers. Parties are reserved for additional 30 minutes after field time. Cake, Ice cream, and presents recommended. 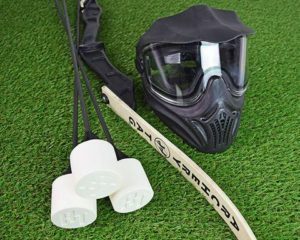 Includes one hour of field time, 10 Knockerballs, or 10 Bows & 40 Arrows, and One Total Sports Coach. Includes One hour of field time, Nerf Guns, and a Total Sports Coach. Includes 2 slices of pizza per person and 1 drink (up to 20 people). Also gives you 1 hour in the party room instead of 30 minutes. 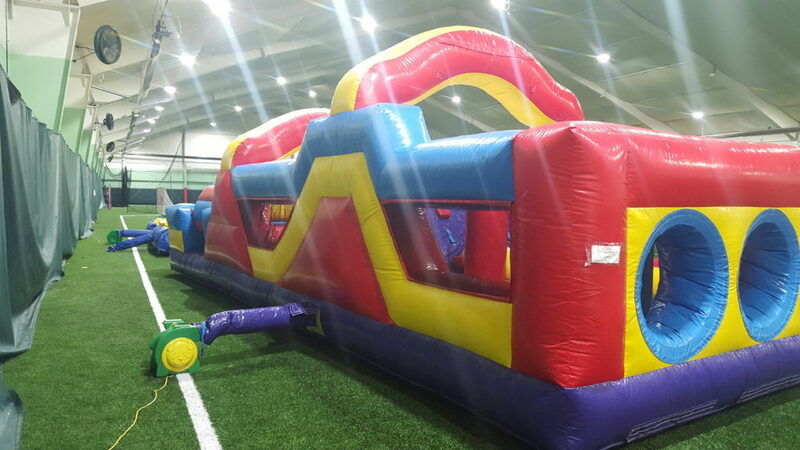 Add one of our Inflatables to your party for $50/inflatable/hour! For reservations please email AJ Esch at aj@totalsportscomplex.com or call 248-957-8391. We have 3 annual Bounce Events! There will be a Giant Slide, Obstacle Course, regular Bounce House, Bounce Town, and Soccer Darts! 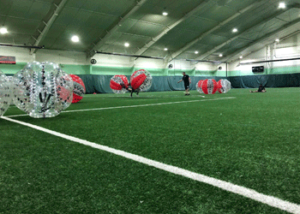 We will also have soccer balls out to shoot on the net! Cost is $10 per child if you pre-register and $12 per child the day of. 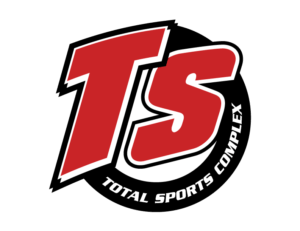 HOST YOUR COMPANY EVENT AT TOTAL SPORTS FARMINGTON! 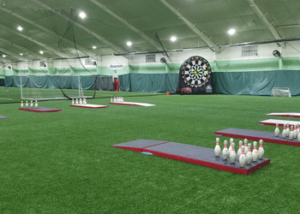 You can bring your employees here to play KNOCKERBALL, ARCHERY TAG, FOOTBALL BOWLING, SOCCER DARTS, or A CLASSIC GAME OF SOCCER! 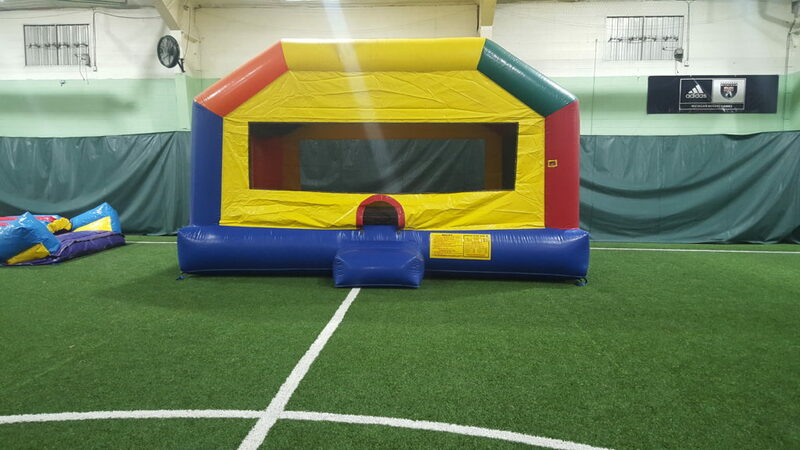 Call us at 248-957-8391 to reserve your corporate event today or email Randy Vannatter at randy@totalsportscomplex.com!